These specially crafted speakers will bring energy and full-spectrum power to your home entertainment. The stylish floor-standing front speakers can be used to complement a stereo system perfectly, or to build up a surround sound system by using these as Front Left and Right channels. Their twin woofers give them the heft to handle dynamic classical scores and towering rock anthems with equal aplomb. At all volume levels, your music will sound full and natural, with stunning detail across the audio spectrum. 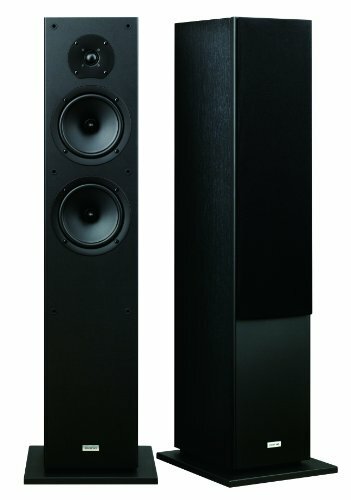 The precision designed and engineered SKF-4800 towers provide a truly authentic audio experience. Add them to your system today.